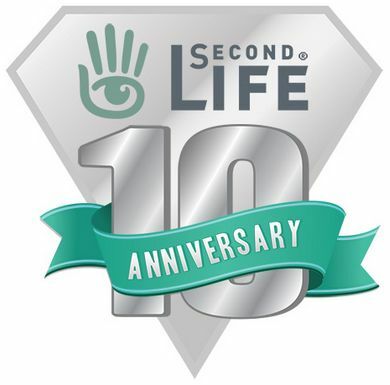 Linden Lab have offered-up further gifts with which to celebrate SLs tenth birthday – only these are both numbers and time-limited, and only available in-world. The first items are mesh varsity jackets in the SL colours and bearing the 10th anniversary logo on the front and the Lab’s logo on the left sleeve. These come in male and female styles and a range of sizes (items are no modify / no transfer) and with an Alpha layer base. Also on offer is an “SL10B teddy male” – actually two bears (father and son?) the smaller sitting on the larger one’s head. The jackets and bears are limited to 1 per avatar, and only available until 23:59:00 SLT on Monday June 17th. We apologize, but there was an error trying to deliver your item.